Marvin Newell has deep consulting expertise across a broad range of industries. He has advised Fortune 500 companies as well as mid-market organizations. 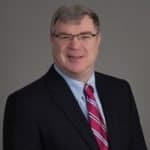 His background includes significant experience in corporate restructuring as well as defining and implementing major change programs for global enterprises. To read more, please see Marvin’s bio. Over the past month or so, many of the India-heritage outsourcing firms have reacted to the current political climate to announce significant hiring goals for onshore (U.S.) hiring while scaling back applications for H-1B visas. There are numerous reports across the country of these announcements creating a frenzy of governors courting the companies to locate delivery centers in their states, with sweet incentives included. Notwithstanding the irony of taxpayers underwriting job growth for the same companies that are simultaneously being raked across the coals for stealing American jobs and moving them to India and other offshore locations, the shifts coming on the back of political jawboning may be setting the stage for a way to a longer-term turnaround of prosperity. Recent analysis of the organic growth of the top 20 outsourcing services providers by Everest Group and DeepDive shows a dramatic deceleration of these collective firms’ growth. Projections over the next couple of years indicate a continuation of this trend. Deeper in the numbers, however, is the startling fact that the 80 percent block of these firms’ revenue that is labor arbitrage-based is actually shrinking slightly! The remaining 20 percent – that which is generally considered “digital” (cloud, mobile, social, analytics, AI/robotics, etc.) is growing at an annual rate of over 20 percent. Many of these “digital” activities require service delivery resources that are intimate with the consumers of the service. This is driving a push for a greater onsite (onshore) delivery mix to unlock the value inherent in these digital initiatives. Now you see the punch line – Trump-driven reactions to increase the onshore presence aligns with what is required for success in the digital marketplace. However, it is not a forgone conclusion that all the firms that shift their mix slightly will succeed in this fast-growing digital space. Digital success often requires a different business model that demands changes far beyond the location of service delivery staff. We see all elements of the business model shifting – locations, talent approach, innovation cycle, sales motions, organization models, funding processes, etc. – a transformation that is challenging for companies large and small (enterprises seeking to adopt digital solutions also have major transformational change requirements). That said, actions in response to the U.S. administration’s stricter posture toward immigration, commitments to “hire American” and “buy American,” and rhetoric about trade reform (i.e., border taxes could position, if not encourage, service providers to increase their digital mix. The market revenue numbers suggest that customers want it, so those offshore-centric players who can navigate the business model changes required to do it at scale could end up thanking President Trump for the push into the digital pool. Hmmm…is this recounting the cloud services situation of 5 to 7 years ago, or today’s RPA situation? Well, I think it is both. Our discussions in the market – encompassing both enterprises that are commencing their RPA journey and services and technology providers jockeying to deliver solution to those enterprises – suggest a picture that is eerily similar to a number of patterns we saw as the “last” disruptive trend was gaining its footing a few years ago. It got us thinking about what those wishing to capitalize on the emergence of RPA might learn from the trials and tribulations many firms went through as cloud services emerged. That’s not to say there aren’t some key differences in how these two disruptive trends are playing out. For example, while both sets of key early players created their business models from a blank sheet of paper, the cloud leaders (Amazon Web Services, Google, Microsoft Azure, etc.) clearly had deeper pockets than emerging RPA leaders and they leveraged that ability to invest ahead of demand to drive a market share-driven pricing strategy that secured and continues to protect distinct advantages. Notwithstanding the differences, it sure feels like many enterprises (and service providers) have been down this path of pursuing the next disruptive technology before. As you contemplate your RPA strategy, it probably makes sense to step back and gauge how your organization responded to the emergence of cloud services. The steps you took that worked for your cloud initiatives – and those that didn’t work so well – will provide a good path forward. Everest Group has synthesized a “market perspective” on how banks and federal savings associations perceive and manage regulatory risk requirements as they relate to services delivered by third parties. The Wall Street Journal broke the news over the weekend that HP was contemplating splitting the company into two – PCs and Printers in one company and enterprise hardware and services in another. HP confirmed the news this morning. Many on Wall Street are applauding the move, and I suspect from a financial market view, the move may unlock “untapped value” in the stock price. However, will it really make a difference in the market, particularly the global services market, which is where Everest Group’s clients live; in other words, what’s in it for the customers of HP’s enterprise services? Each of the new companies will be over $50 billion in revenue, so there’s really no concern to be had about either of the resulting entities lacking scale. Certainly the PC/printer sector and the enterprise sector have very different growth profiles and different overall market drivers – increased focus is probably good news and discussions arising from internal competition for capital and resources should be streamlined and more reflective of each market group’s needs. It appears that each of the “new” companies will continue to leverage the strong HP brand. Challenges of delivering on the promise of integrated hardware and services synergies will remain. Major changes in strategy are unlikely, and there will be temptation to pull through equipment and software on services deals. Underlying differences in many processes central to market success – including recognizing that products and services are indeed very different – will continue to plague both bidding competitiveness and an ability to generate attractive margins. Cumbersome decision-making compared to more nimble competitors will be unlikely to improve noticeably to impact customer performance. Don’t get me wrong – I support the logic of pushing to create an entity that is more focused on serving the enterprise’s needs, especially when a boost on Wall Street will help support positive momentum and improved morale. The HP Enterprise leadership, however, needs to recognize that the split is a facilitator for determined actions, not a turnaround strategy in and of itself. They need to ensure an environment exists that unleashes both the hardware business and the services business to focus on the distinctive buying behaviors and competition in each (and not get so wrapped up in the potential integrated hardware/services that they lose sight of the forest for the trees). Current HP Enterprise Services customers should think about how the more focused company can add more value in their services. It is unclear if the split will trigger “change of control” clauses that exist in many enterprise services agreements, but if so, customers should use the opportunity to open a dialogue about a new era for service delivery. We would not suggest using these discussions as an opportunity to squeeze HP Enterprise for price concessions, but as a way to get your account team focused on value and truly listening to your needs. Customers must ensure that plans are in place with HP to ensure distractions are minimized as the details of the split are sorted out and operationalized. HP Enterprise competitors should recognize that this split may create a more focused, more competitive services company. While short-term opportunities may arise if HP gets distracted on select accounts. If the newly svelte HP Enterprise deals with the challenges noted above successfully, the player that arises from the split should have formidable capabilities and greater focus to take to market. Complacency will not serve any competitors well. With the core HP Enterprise business under constant pressure from next generation disruption, the status quo is not an attractive path. Kudos to HP leaders for taking action – now the shape and sustainability of the follow-through will prove whether the arithmetic really works for the customer. In Assessing the Cloud’s Clout to Disrupt the Outsourcing World, Peter Bendor-Samuel suggests that cloud-based IT services will be highly disruptive to the IT infrastructure space. I agree – and assert that the impact will occur faster and be more game-changing than we might imagine at this time when its $10-20 billion of projected annual revenue seems quite modest compared to estimates of “traditional” IT services of $200+ billion. To support my point, I would encourage you to consider an analogous industry-changer – the “invention” of the low-cost airline by Freddy Laker in the late 1970s. Laker Airlines pioneered low-cost airfares, offering pricing at one-third to one-half of the cost of traditional carriers flying across the Atlantic. With only a handful or two of long-range aircraft, Laker broke the industry’s rules, securing permission to compete head-to-head with the likes of British Caledonian, TWA, and Pan Am, among others. Applying innovative operating practices, implementing sacrilegious pricing models, adopting unique sales, and marketing techniques, Laker opened new markets and changed customer buying habits forever. While the early 1980s recession across the U.S. and Europe forced Laker into bankruptcy, the airline industry was changed forever. Some will challenge whether the Laker analogy is a fair comparison, but can today’s large IT services firms afford to risk not taking heed of lessons from Freddy Laker? Last Tuesday, Dell Inc. announced that it will go private, with Michael Dell, Silver Lake Partners, and Microsoft combining in a $24.4 billion offer that represents a 25% premium over Dell’s value prior to word of the discussions emerged. While there are some strings attached to the deal, it now seems inevitable that Dell will soon be a private company. Out of the public spotlight, will things be different? Will the absence of quarterly earnings pressure energize a set of business initiatives that will remake the storied PC maker? Accelerating and broadening offshoring initiatives, which had material upfront costs, but promise very attractive longer term economics. This longer term view unshackles key improvements, lubricated by fewer concerns in this case of exposure to public relations rhetoric that might move the market. Launching heretofore delayed M&A activity that had short term adverse earnings implications. This includes moving forward to jettison laggard units that would have triggered write-downs of under-performing assets. What happens when cash really becomes KING? How does a big debt load change the game? Taking aggressive actions to drive the enterprise value north – the objective, after all is to make the investors rich(er) – growing enterprise value and position the firm to go public again in a few years at a much higher valuation. Will being private drive a different organization culture? How will “new” owners shape the future? Clarity of priorities which will define core business direction. For Dell, will this sharp focus lead to revitalization and sharper focus of the hardware business or a next generation firm driving innovation beyond traditional models? Private is different than public. Dell the private company will be different than Dell the public company. Customers and competitors will see changes – perhaps at a pace that rivals the Dell of the 1980s when it was last a private entity. Buckle up! Last year, I wrote here that cloud services were “differentiated commodities.” The evolution of the Infrastructure-as-a-Service (IaaS) market over the last 18 months continues to reinforce this view. A recent analysis of an enterprise’s IaaS options for an IT infrastructure workload that is expected to grow ten-fold during the next few years illustrates this observation quite well – and demonstrates the value that enterprises turning to cloud solutions can contemplate. Decision makers also need to remember that compute virtual machines (VMs) are only a portion of their IaaS bill – storage, IO, and additional services can add up very quickly and provider strategies and choices differ widely across these areas, too. Business and technology leaders thinking about decisions about their IT infrastructure options must include cloud solutions in their consideration set. Just like the legacy IT world where capital budgeting ran the show, planners in the next generation IT era need to pay close attention to getting the future outlook right. As illustrated by this IaaS analysis, evaluating options at a snapshot in time may lead to choices that leave a pot of gold on the table. Moreover, crafting the solution design to enable flexibility (i.e., low switching costs) in ways that create future options may enable the enterprise to exert leverage to secure even more favorable economics in the future as pricing models and relative price points shift over time. I’m sure many of you have read the reports of Amazon’s new CEO’s steps to revitalize the company’s growth. News of restructuring that could involve widespread layoffs that cut deeply across Amazon, including some of its key development areas are also driving changes across the company’s management ranks. Meanwhile, there’s at least one part of Amazon that is taking aggressive steps to fuel growth rather than cutbacks. While the reductions are meaningful for its flagship EC2 On Demand services, I interpret the very large reductions for longer term Reserved Instances as yet another salvo that plays to the enterprise market. Moreover, the introduction of volume tiering that enables additional discounts should turn many CIOs heads who are in the midst of pilots that test the value of cloud services in a modest way. Spend over US$250K on Reserved Instances and get 10 percent off the amounts above that level – more than $2 million steps that up to a 20 percent incremental discount. And finally, in a distinct departure from previous positions, AWS is inviting “one off” deals by asking those spending more than $5 million to “call me!” Some of AWS’ largest users are ending up with pricing that is over 50 percent lower than before these actions. The business case for broader adoption across the enterprise continues to get stronger. Enterprises should be including ongoing pricing improvements in their Infrastructure-as-a-Service models; can internally-delivered infrastructure be cost competitive with options that are likely to drop another 20 percent over the next few years? AWS appears to continue its leadership in cloud infrastructure services with this pricing action, and it continues to add solutions and features that should appeal to enterprise buyers. Recent discussions with enterprise CIOs, however, suggest a gap continues to exist – at Amazon and most of the other cloud service providers – around the ease of enterprise solutioning. The low touch, self-service approach enables attractive price points but still leaves the enterprise with do-it-yourself tasks that impede their widespread adoption of mainstream solutions. AWS’ strategy appears to rely on the VAR / SI channel do the solutioning, focusing on the horizontal cloud delivery platforms (which we suspect may be higher margin, at least for AWS). This provides an opening for other cloud pioneers – Rackspace, Savvis, Terremark, and others – to step up to fulfill the enterprise market’s needs for true enterprise-class solutions that include the all-important solutioning capabilities. Competing on price is essential – but the value player is likely to seize the enterprise leadership role in the long run. Much of the market talk about cloud has been about what service providers are offering – but why, how, and where are CIOs and enterprises actually adopting cloud computing and what paths are they taking? Is your organization an Observer, Opportunist, Solutioner, Transformer or Provider? In mid-February, I have the opportunity to join a great group of executives to debate how cloud computing will – nay IS – changing the way we need to think about IT governance. As you may know, Everest Group is chairing a track at CloudConnect in Santa Clara, CA, on Organizational Readiness. One of the sessions is slated to include Neal Sample of eBay, Bates Turpen of IHG, Thomas Barton of Novartis, and me discussing governance issues of today and tomorrow. We conducted a prep session last week, and I thought I’d share some of the topics we anticipate debating at CloudConnect. Standards. One of the key pillars of capturing the value of cloud computing is the use of standard services to meet your needs. This raises the stakes for making the “right” choices early in your solution design and requires strong governance to ensure erosion of adherence to the standards is stopped in its tracks. Whether our discussion will start or end with a battle over the right approach to standards is unclear! What is the “half life” of standards decisions and how should you manage the balance of business and technical considerations that you will need to live with for some time? Hybrid IT environments. Most agree that large enterprises will evolve to IT environments that include non-cloud and cloud components. The cloud landscape will also likely include internal (private) cloud environments and external cloud environments (virtual private clouds, public clouds, and Software-as-a-Service solutions). Controversy will be apparent on how big an enterprise should bet on cloud as THE focus of its go-forward plan. How should you balance the governance needs of these diverse environments? Governance intensity. Cloud environments create the opportunity (nightmare?) for independent initiatives to be executed quickly and out-of-sight of centralized governance processes. Some think these pockets of innovation and initiative are central to leveraging the full power of the cloud; others suggest this is a step onto the slippery slope toward anarchy in terms of IT governance. What is the right approach? Leadership. Who should take the lead in IT governance. There is a camp that suggests detailed technical decisions are shaped by governance decisions, so architects need to be in the middle of governance. Others argue that the business must set the vision and follow through to allocate resources consistent with those broad objectives or you’ll end up with disconnects that erode value from the outset. Sorting out these issues will be more than a sidebar skirmish! While most enterprises are likely to end up somewhere in the middle, how should you decide what decisions lean which way? Management paradigm shift. Many governance processes have been established for IT approaches that are driven by capital budget management; i.e., large, lengthy projects are the centerpiece of how resources are allocated and policy is set and administered. Cloud computing services turn that paradigm on its end as easy-on/easy-off solutions that require little/modest capital come to the forefront. This fight will extend far beyond IT, encompassing the CFO and BU leaders. How does this fundamental shift in the underlying economics and what needs to be managed change the governance requirements? Pace of change. The IT landscape has always been characterized by rapid change and short innovation cycles. However, cloud computing is accelerating this pace even more. With lower switching costs and innovation that presents opportunities to unlock ever-increasing value, the likelihood of opportunities to change directions increases with each service innovation. Risk takes on a whole new meaning in ways that will reveal fundamental differences of opinion that will light up the stage. How should an enterprise assess these opportunities? What must change in IT governance to accommodate the breathless pace of change inherent in the cloud? With these topics in mind, the governance panel discussion at CloudConnect is certain to be lively and cover an array of challenging, if not controversial, issues. If you have a particular area on which you’d like the panelists to share views, post a note to this blog and we’ll consider adding it to the list.